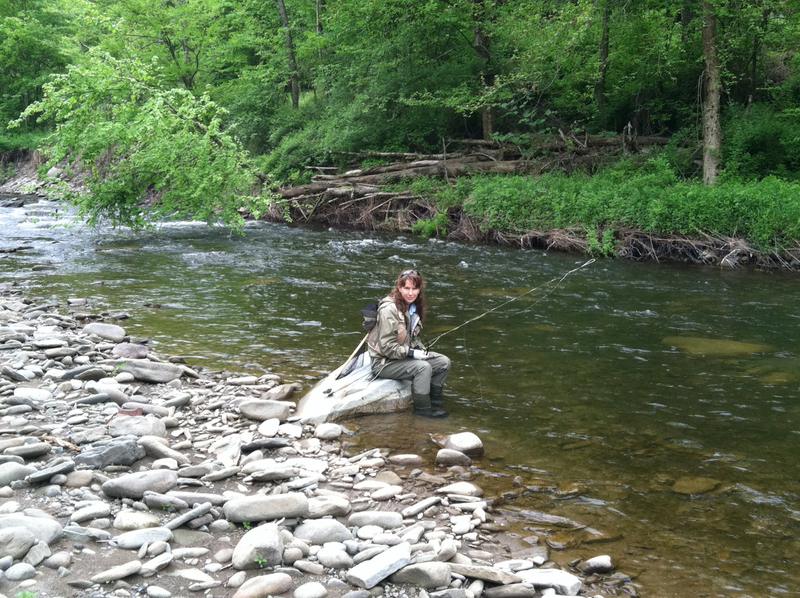 H: Here is Part 2 of our West Branch Delaware River trip. Sunday, May 22, 2011. We awake to a gray morning. But at least, no rain. Jim, an angler from Florida that we met at dinner the evening before, stops by with 30+ boxes of flies and breakfast supplies. He insists on giving us over 50 flies and cooking breakfast. Thanks for your generosity, Jim! After a delicious, home-cooked breakfast, we decide to walk up to the fly shop to see if water levels have dropped. On the way to the shop, Craig calls and we start discussing possible fishing spots. He mentions a creek that feeds the Beaver Kill where there might be spawning rainbows or wild brookies. It sounds perfect. We check out of the West Branch Resort and head over to Trout Run. It's a lovely creek and more importantly--extremely wadeable! We fished a multitude of spots as we hiked about a mile upriver. It was absolutely beautiful and we had it all to ourselves--literally--no fish to be seen. But for some reason, it didn't bother me that day. The weather had held out and the pristine beauty and solitude of the creek managed to soothe my restless, wild-trout-starved soul. I guess sometimes, beauty IS everything. Our next trip will be a day on the Housatonic River in CT with fellow Juliana's on June 5, 2011.
that is nice. 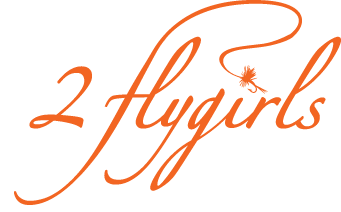 you 2 flygirls rock!